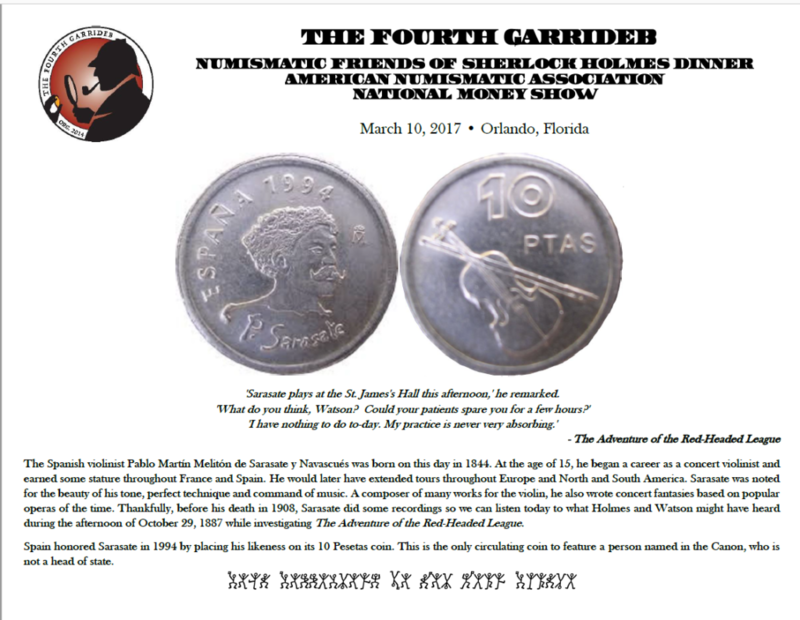 Six Sherlockians and numismatists gathered at Maggiano’s Pointe Orlando on Friday, March 10th for the Numismatic Friends of Sherlock Holmes Dinner. 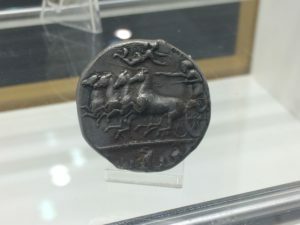 The 2017 National Money Show in Orlando by the American Numismatic Association was the occasion for our fourth dinner. Attendees came from four states – Florida, Colorado, Oregon and Maryland. 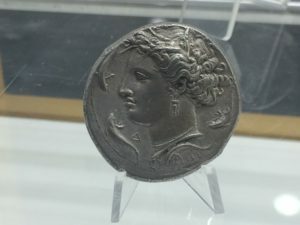 As TFG has done for the three previous dinners, a numismatic souvenir was issued. For this dinner, a souvenir card was again issued. Twenty-five cards were produced. 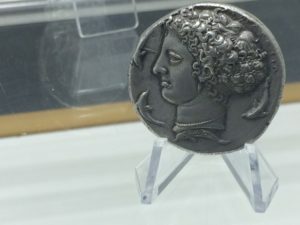 The March 10th date coincided with the birthday of Pablo Sarasate, who is the only “real” person mentioned in the Canon (other than heads of state) who has appeared on a circulating coin. Back in 2014, we discussed the 10 pseta coin issued by Spain, and we featured that coin on this souvenir card. 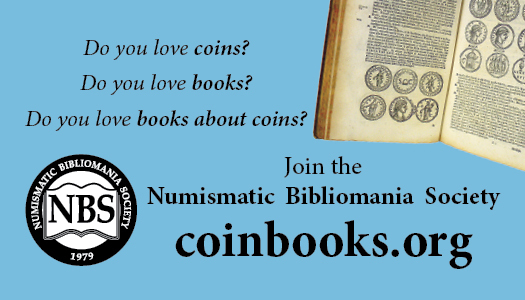 Plans are underway for the next Numismatic Friends of Sherlock Holmes Dinner, to be held on Wednesday, August 2 in Denver, Colorado for the American Numismatic Association’s World’s Fair of Money. 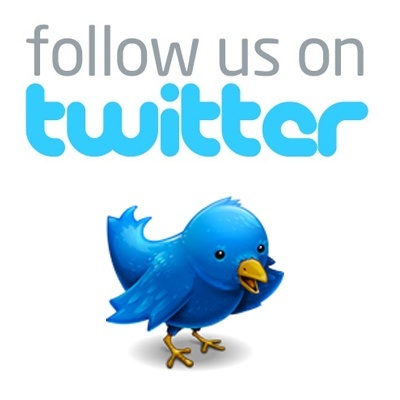 Details will be posted as we get closer to the event. 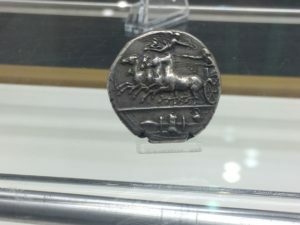 In addition to our dinner, visitors to the ANA Museum Showcase area on the bourse floor were able to see a few coins with a connection to The Adventures of the Three Garridebs. 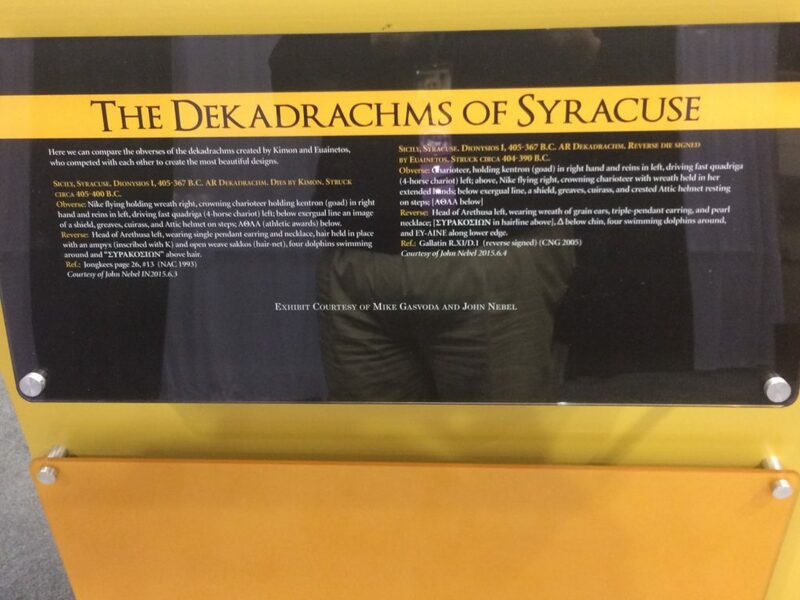 On display, were a selection of Syracusean dekadrachms, which we claim to be the coin that Nathan Garrideb was polishing as Holmes and Watson visited him in the story.